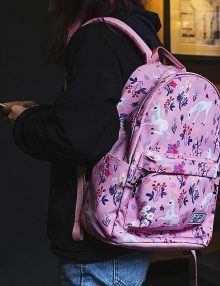 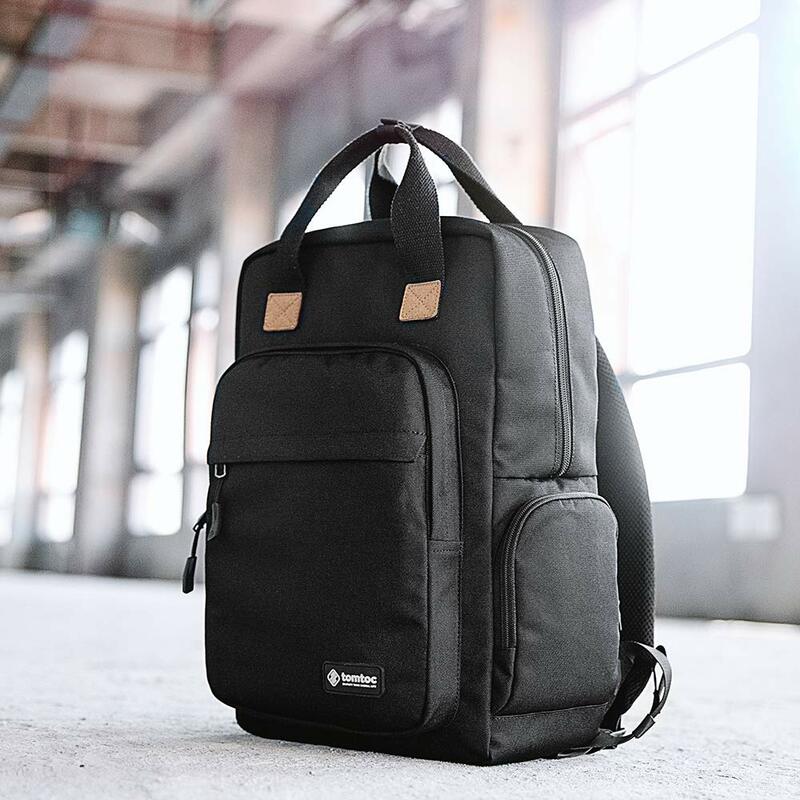 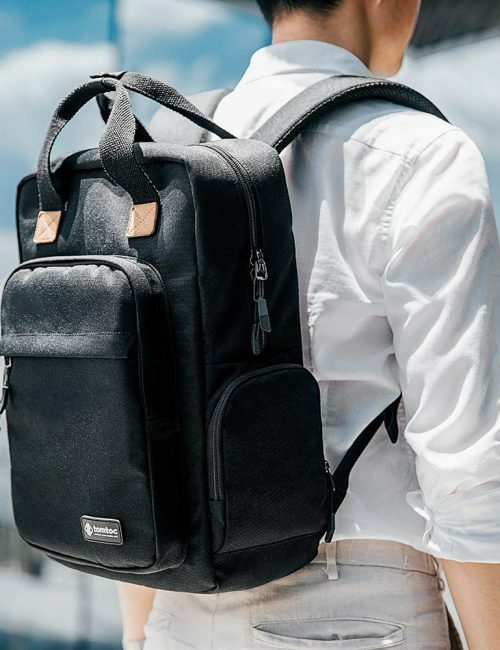 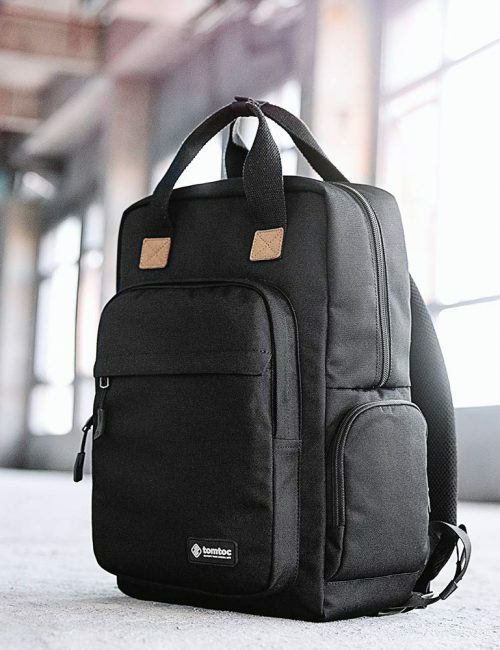 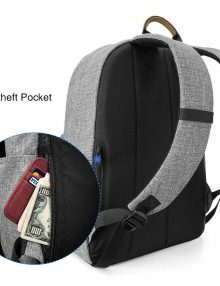 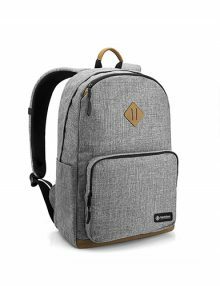 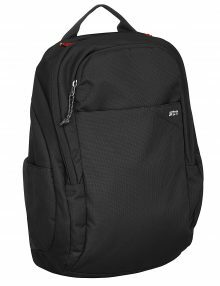 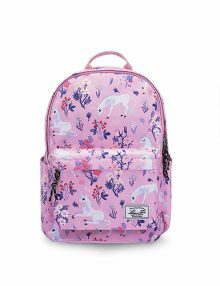 tomtoc Casual Series lightweight daily backpackThis casual daily backpack is perfect for school, business and outdoor activities. 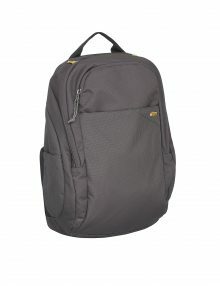 Large capacity with well-organized front pockets help to store everyday essentials easily. 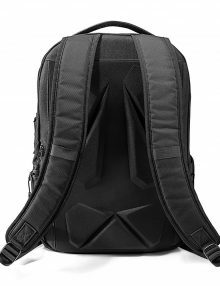 Comfortable & DurableHigh-density notched foam and mesh covering on the back ensures comfortable wearing without feeling tired. 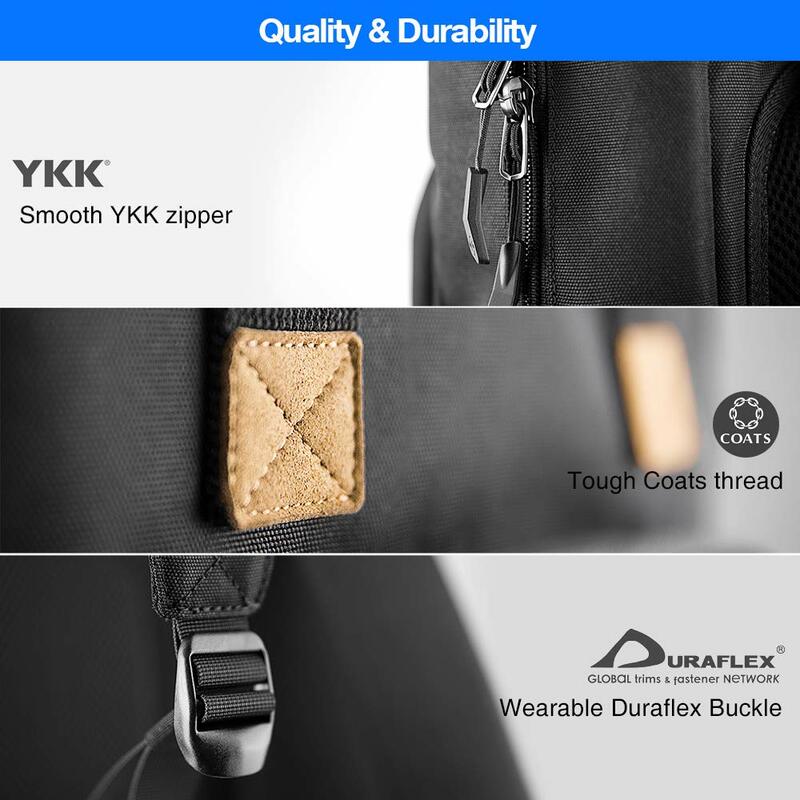 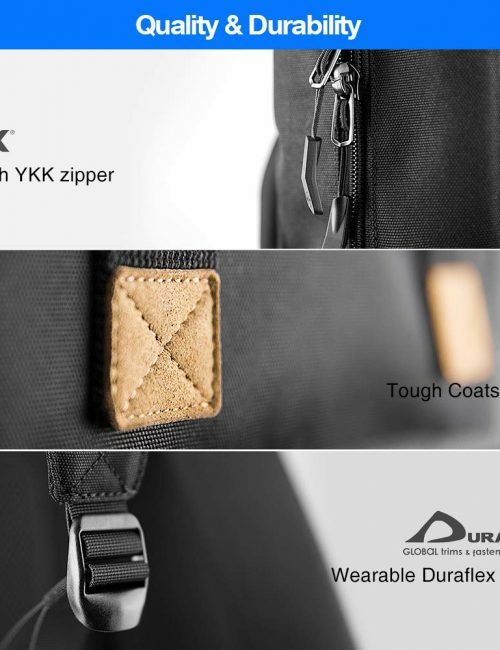 Made of durable brand material and accessories like YKK zipper and Duraflex buckle. 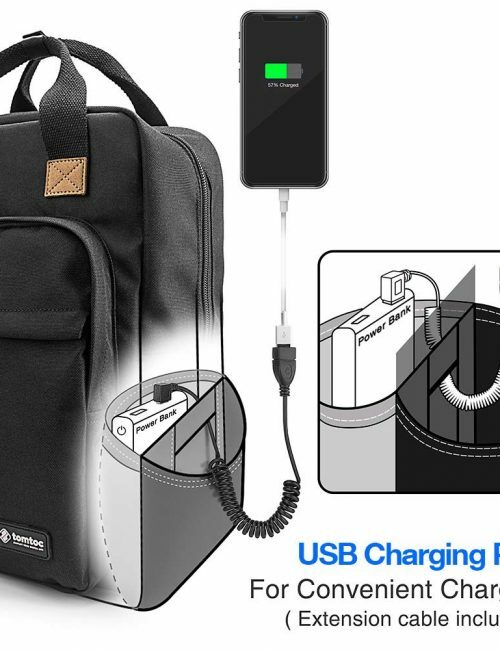 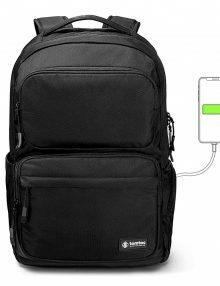 Smart Charging On the GoYou can charge your phone with power bank inside the bag. 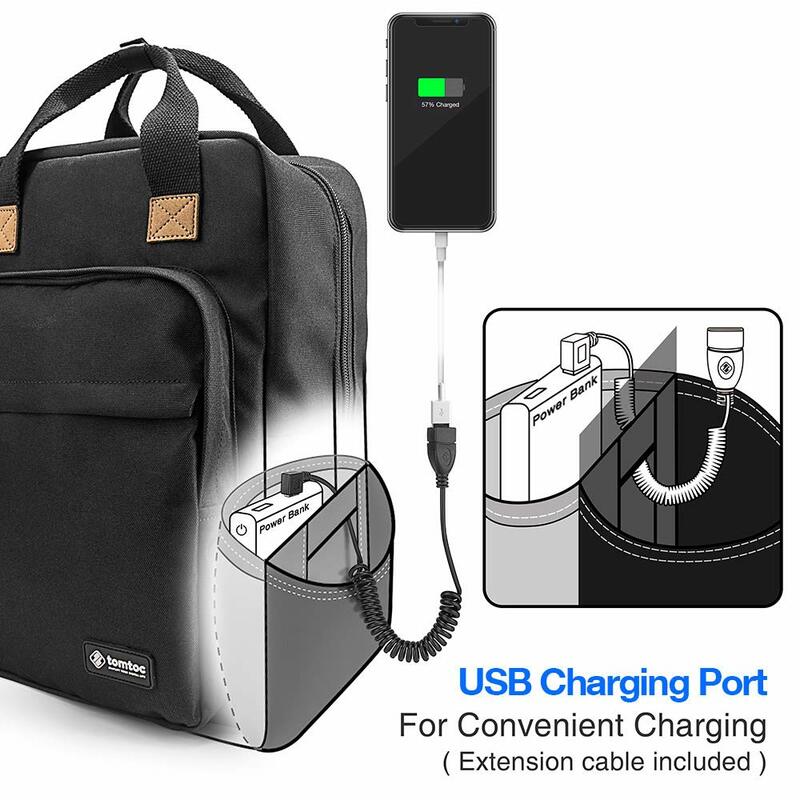 Thanks to the extension cable, you don’t need to take the power bank out for switching on when the cable is connected, which means the USB port of power bank is moved outside the bag for your charging cable. 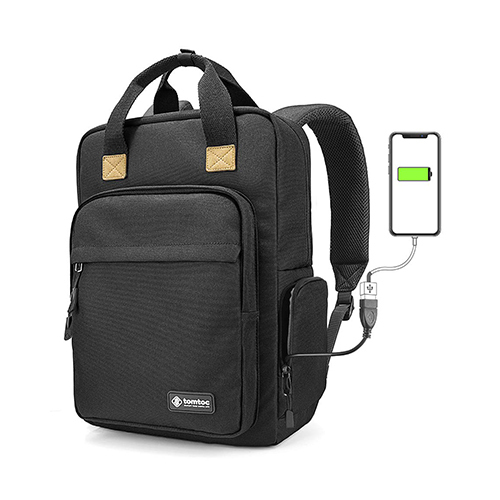 The zippered external side pocket protects charging port from rusting. 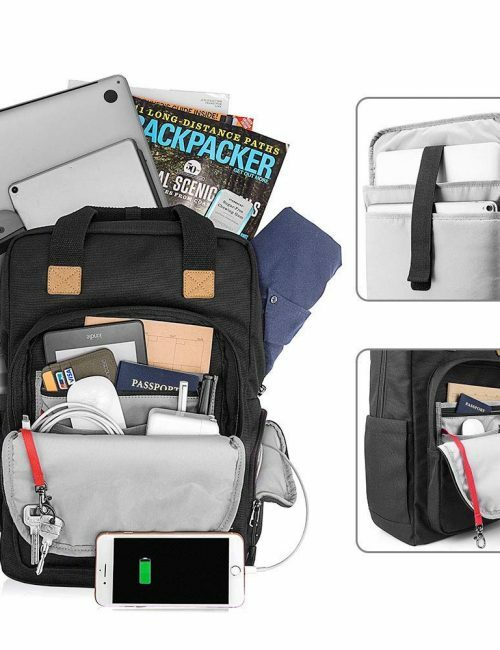 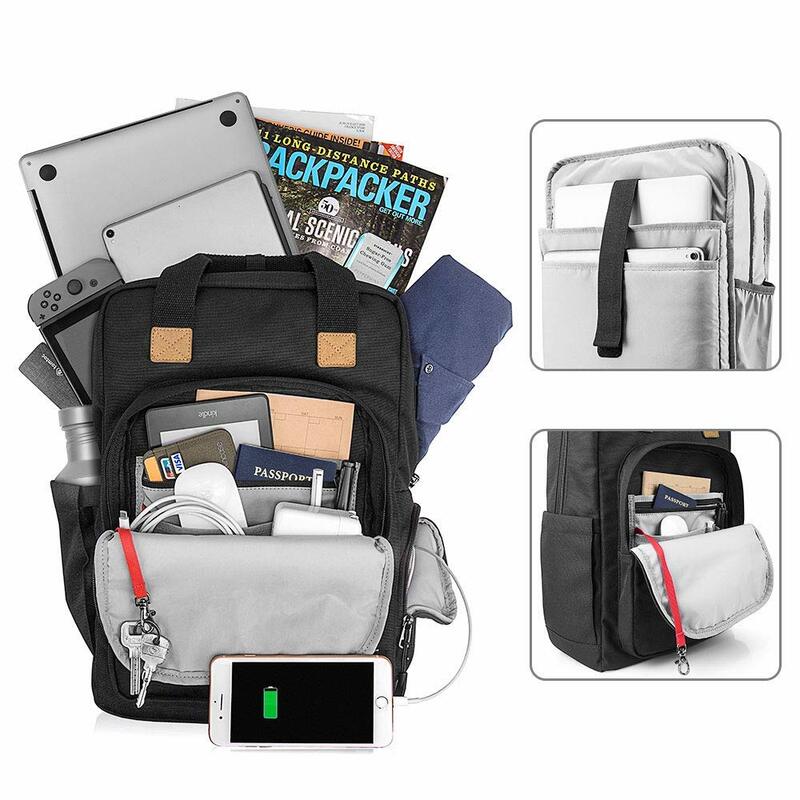 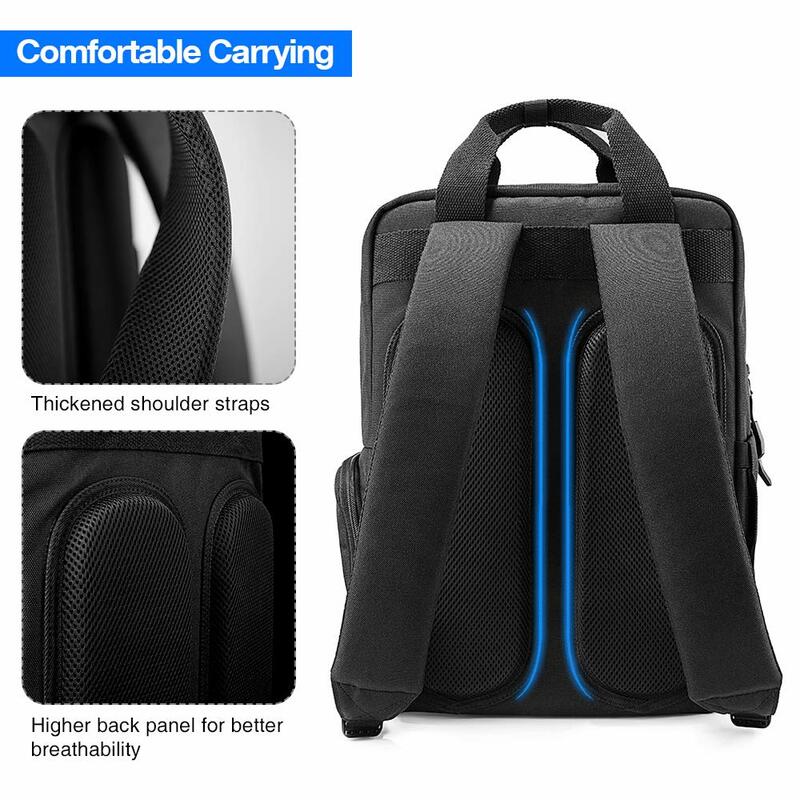 Large CapacityMain compartment with several front pockets to organize your laptop, books, clothes, electronic devices and other daily essentials. 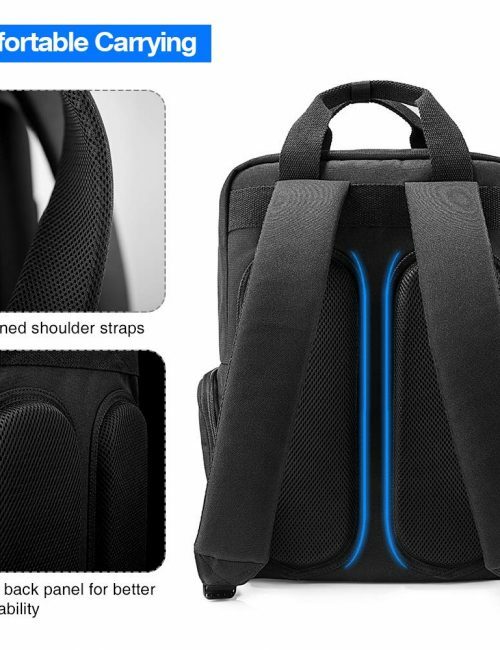 Your pimary everday digital pack awaits! 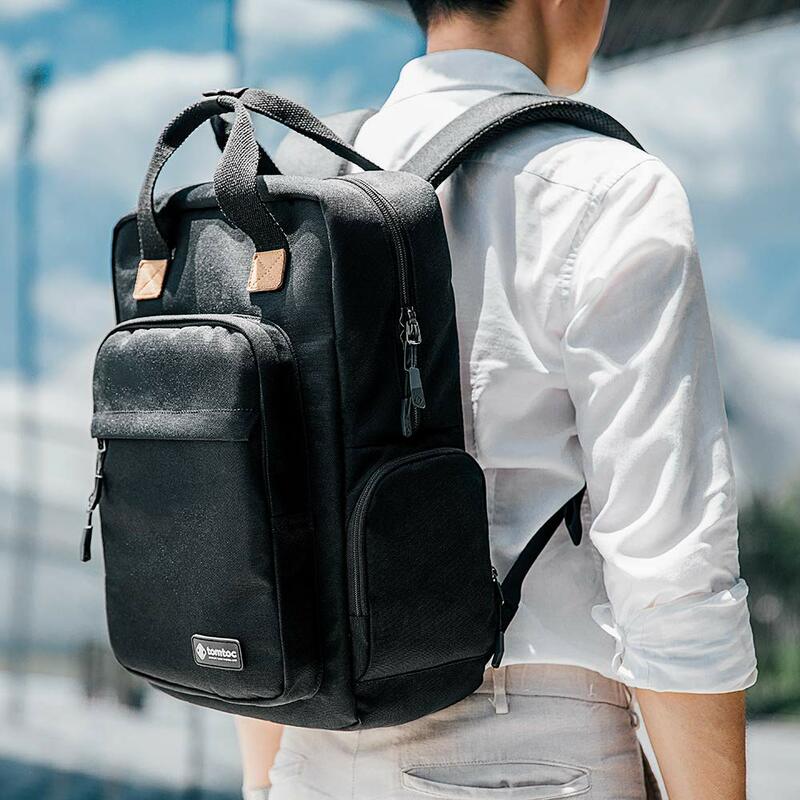 A small, lightweight silhouette with maximum space and organisation, the Prime makes the perfect daily companion – keeping all your stuff organised and safe during your local or global commute.